Brandy Reams is a Senior Consultant with LitCon Group, LLC. She joined LitCon after graduating from Carlow University in Pittsburgh, PA. Ms. Reams’ experience includes providing forensic accounting and financial analysis services to clients in a variety of industries. Prior to joining LitCon full time, Ms. Reams was an intern with the company. She has provided cost and damage services in construction disputes arising from delays, acceleration, changed site conditions, termination and change orders. She has assisted in the computation and review of unpaid contractor balances, delay and extended general condition costs, loss of productivity, overhead and lost profits. Ms. Reams has assisted clients with forensic accounting issues, including the forensic review of accounting records to trace the flow of funds. 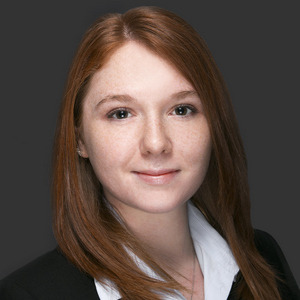 Ms. Reams has contributed to the analysis and evaluation of damages and loss calculations in commercial litigation matters including business interruption and contract disputes. She has participated in the preparation and critique of damage computations and claims. Ms. Reams has provided assistance to clients on a variety of insurance claims consulting engagements. Ms. Reams has assisted the insured recover under various coverages including business interruption, extra expense and property damage.